When it’s the wedding of your near or dear ones, then you can wear a rich or glamorous outfit. But what if it is a wedding of a colleague or some known person? Well, we would suggest you to keep it a tad bit simple. Always wear a simple outfit to the wedding function of known people. But that doesn’t mean that you cannot wear something gorgeous. There is a thin line between a glamorous and simple yet gorgeous look. 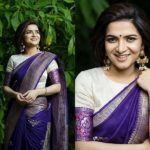 It is very essential for you to wear an outfit that is simple but will make you look elegant and beautiful at the same time. This understated outfit should have the power to make you the centre of attraction of the crowd. We have bought you the perfect example, so as to elaborate our point. 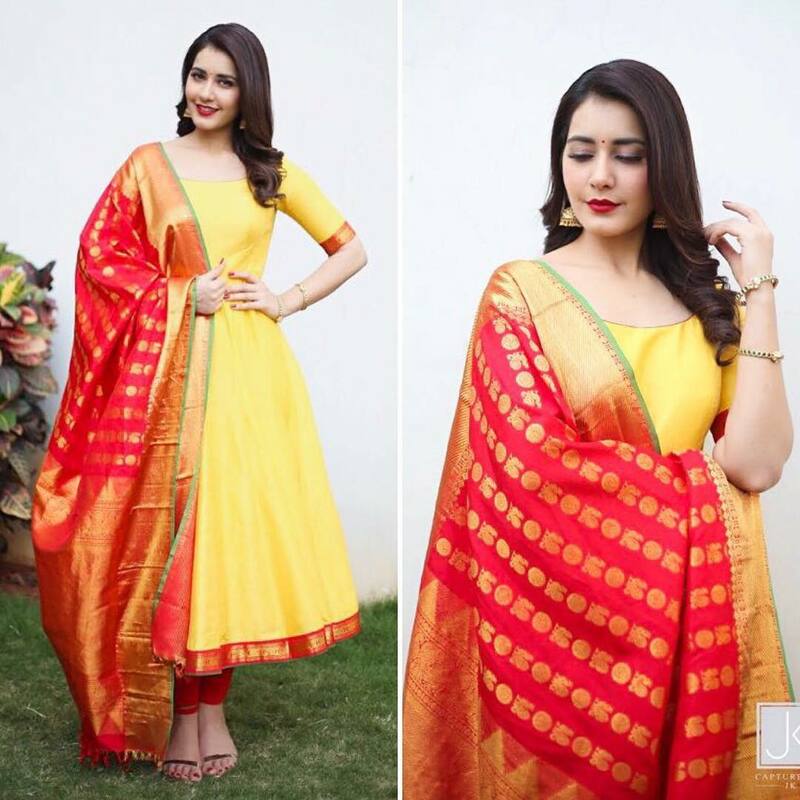 Recently the famous South Indian actress Raashi Khanna was spotted at an event wearing a simple yet stunning yellow anarkali suit from Teja sarees. 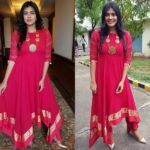 The yellow anarkali suit was ankle length and she had paired it with a simple red leggings. The red and yellow borders in the anarkali added richness to the outfit. 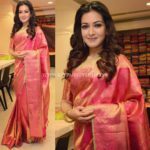 The pairing of a red dupatta with yellow motifs and golden yellow border added splendor to the attire. This is the perfect example of keeping it simple yet exuberant at an event. She has kept the makeup minimal, with bold lips look. The golden jhumkas added modesty to the outfit. 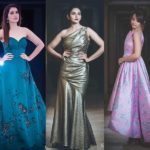 So, you can take inspiration from Raashi Khanna for your guest look for a wedding. Keep it simple and elegant.